Pago is the post caldera volcanic cone of Witori which formed within the past 350 years. Mt Pago is a young volcano. Its cone is probably only about 350 years old, but it is part of a much larger volcanic complex, the Witori caldera, which formed 3300 years ago. 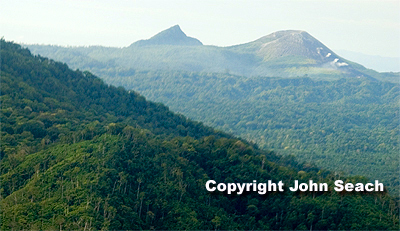 Witori Caldera has long been recognized as active and is considered a potential dangerous volcano in the area. Since the Mt. Pago and Witori volcanoes are located in the same caldera, there is a possibility that an eruption of Mt. Pago may have a similar effects on the Witori volcano. Activity at Pago Volcano consists of Strombo-Vulcanian eruptions. Basaltic lava from Pago volcano has covered the floor of Witori caldera. The summit of Pago is a cinder cone 250 m high and 300 m wide. Eruptions were reported at Pago volcano in August 2007. Residents heard a single booming noise on 27th August. On 28th August lava was ejected from one of the upper vents. There were reports of explosions in February 2004, but these were not confirmed. An eruption began at Pago volcano on 3rd August 2002, after several months of reports of vegetation dying off at the summit. An aerial inspection by the Rabaul Volcanological Observatory showed increased activity from 5 vents on the northwest flank of the Pago cones. On 6th August an ash plume reached an altitude of 7.6 km and drifted 148 km WNW of the volcano. An estimated 30,000 people were affected, of which 12,000 evacuated from nine villages, and another 8000 were housed in six care centres located around Kimbe and Bialla. An estimated 2000 people established their own evacuation camps away from the volcanic zone. A few elderly people were treated for breathing difficulties caused by the clouds of ash. The eruption left many villages at the foot of Mt Pago under ash and closed the nearby Kimbe airport, which services West New Britain Province. Lava extruded onto the surface and formed cones above the active vents. The highest cone was about 60 m tall. Faults developed and the volcano. Movement was substantial on some of the faults, up to six metres. 2007, 2004?, 2002-03, 1933, 1920, 1911-18, 750?, 420, 640BC, 1350 BC?, 3650 BC?, 7150 BC.